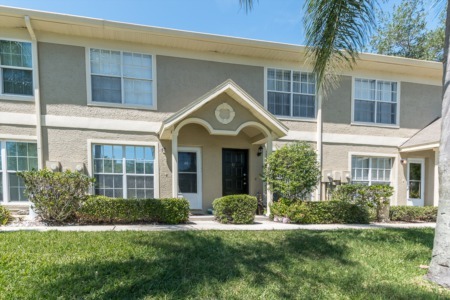 Enjoy maintenance free living in Palm Harbor, Florida in these well maintained condos set among the mature and lush landscaping of el Pasado located off East Lake Road, north of Tampa Road. 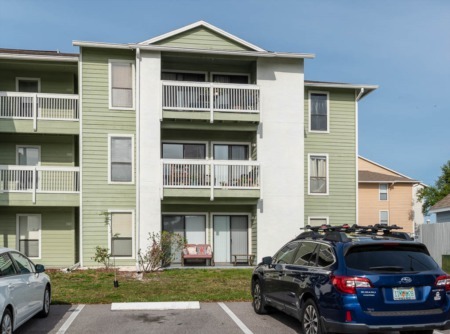 Whether you prefer first or second floor living, you will love the updated units with beautiful stone countertops, spacious screened lanai or porch and stainless steel appliances. 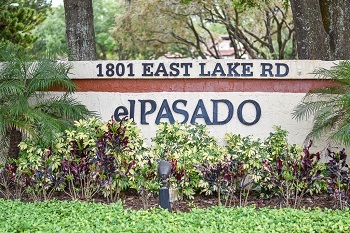 Homes for sale in the El Pasado neighborhood are modest homes in price with 1100 to 1500 sq. ft., containing elegant two and three bedrooms and two baths. There is plenty of assigned covered parking with lots of guest parking spaces and a car wash area. Plus pets are allowed! There are deed restrictions and fees are required to cover building exterior, cable, escrow reserves, insurance building, lawn, pest control, roof, trash removal and water/sewer. Spend pleasant times year round swimming in the heated community pool. Within walking distance to John Chesnut Park, close to golf course and YMCA and a short distance to shopping and schools. Selling your home in el Pasado? Hire the experienced realtors at Lipply Real Estate who have sold in your development before. Check out our successful sales and then contact us for a quote. We are confident our marketing plans will help you ge the most out of a possible sale. Enter your information in the form below to be contacted by an agent via email.